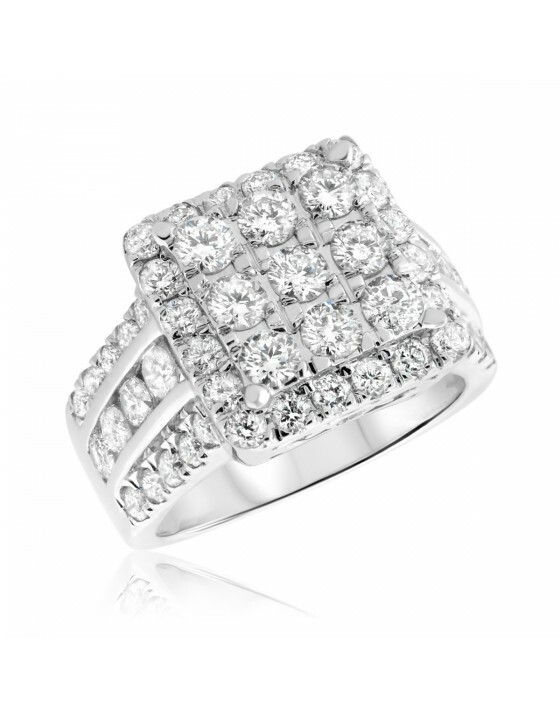 Three rows of diamonds or three lines of gold run along the surface of the ring's band. 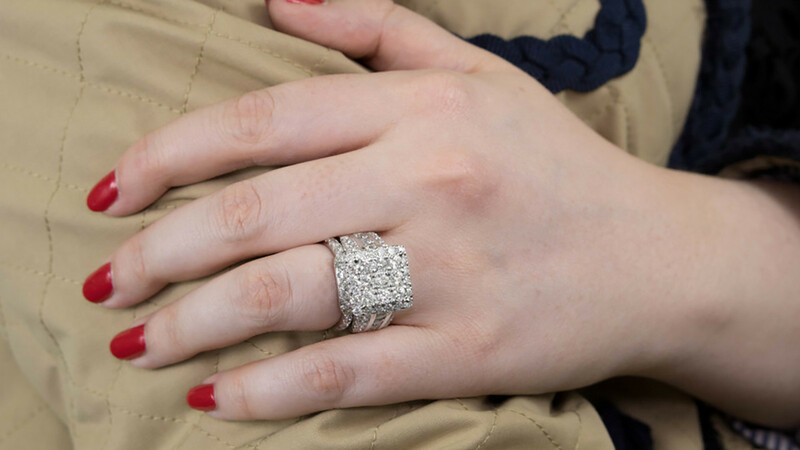 A small and subtle diamond detail within the side profile of ring's head, allowing for personalized appreciation of intimate details. 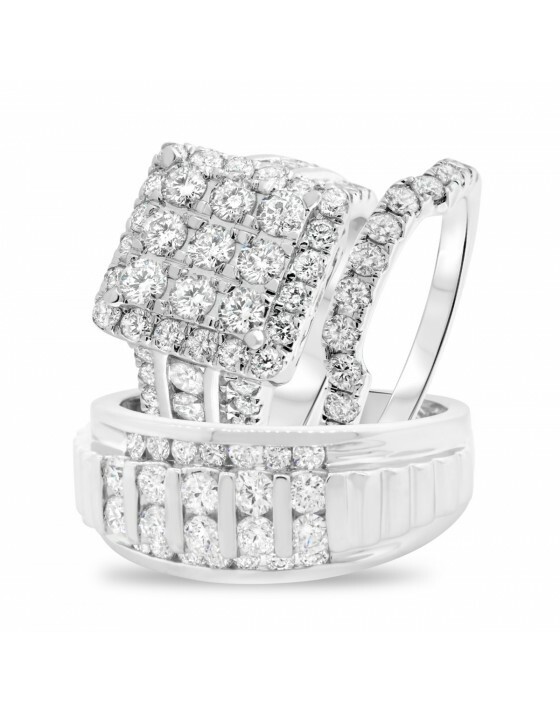 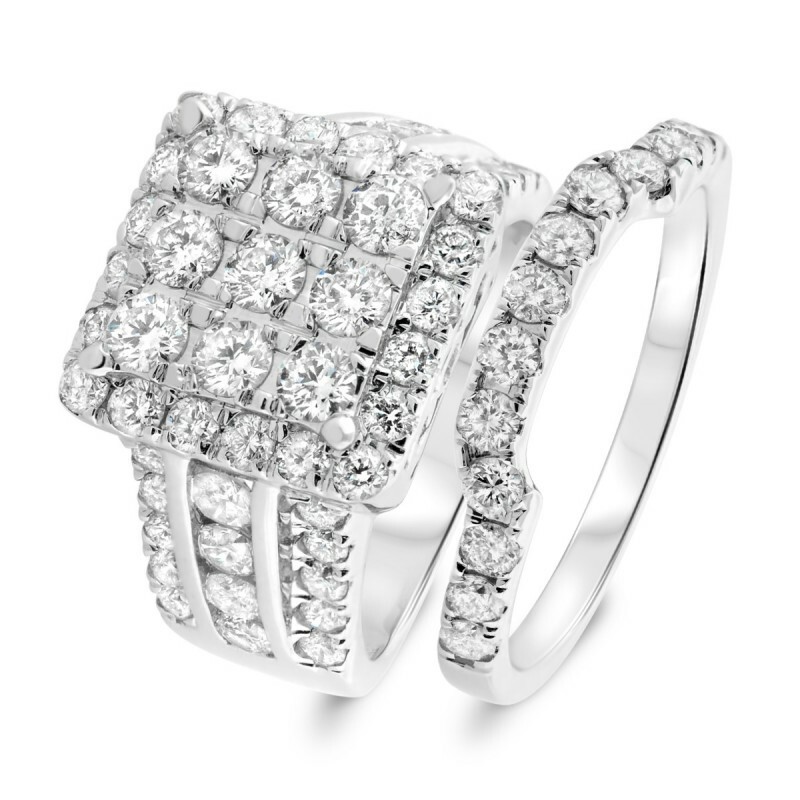 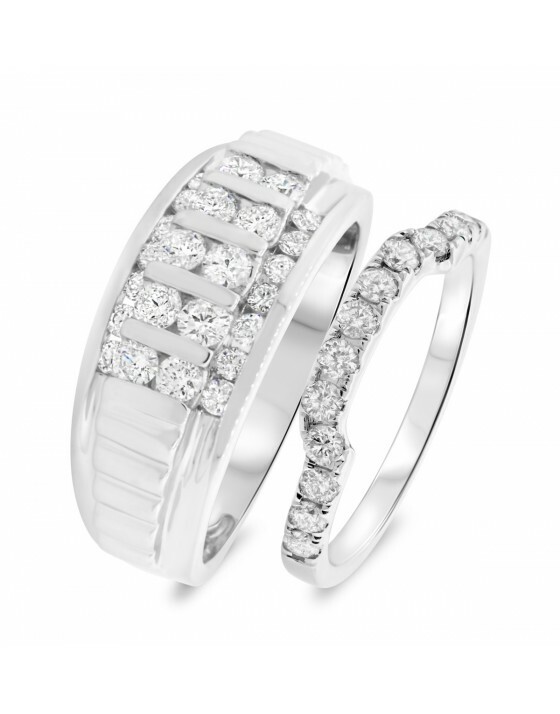 This halo bridal ring collection engagement ring shimmers with the beauty of authentic diamond against 14K White gold. 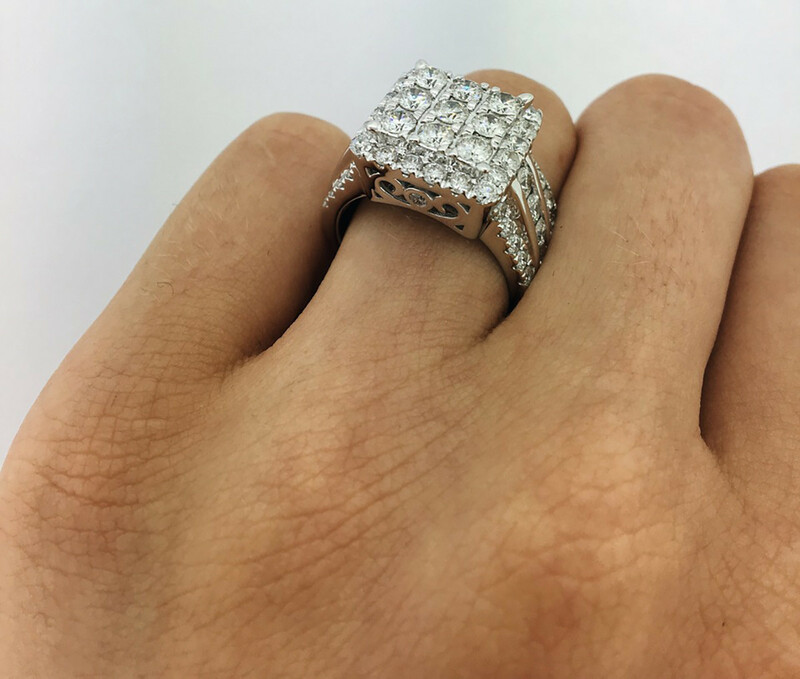 A dazzling array of 59 diamonds weighing 3 carats is set within rows and makes up a gorgeous square cluster head with a square halo around it. 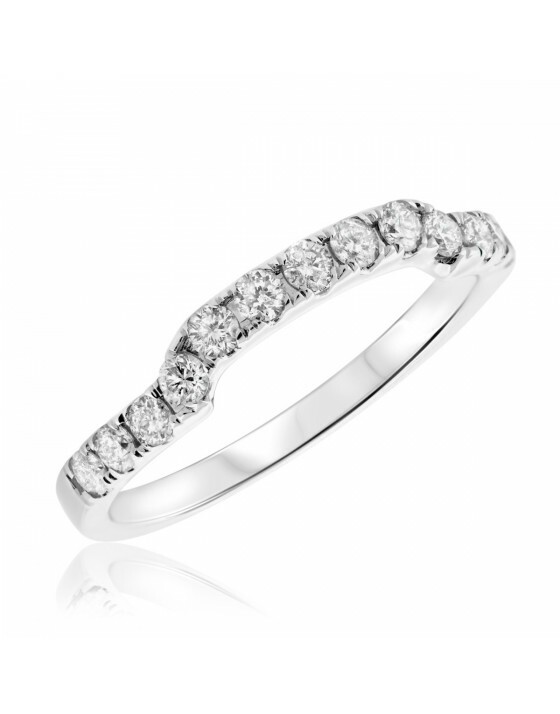 With this slim wedding band, you gain an extra row of diamonds to enhance your engagement ring in this inexpensive wedding rings set. 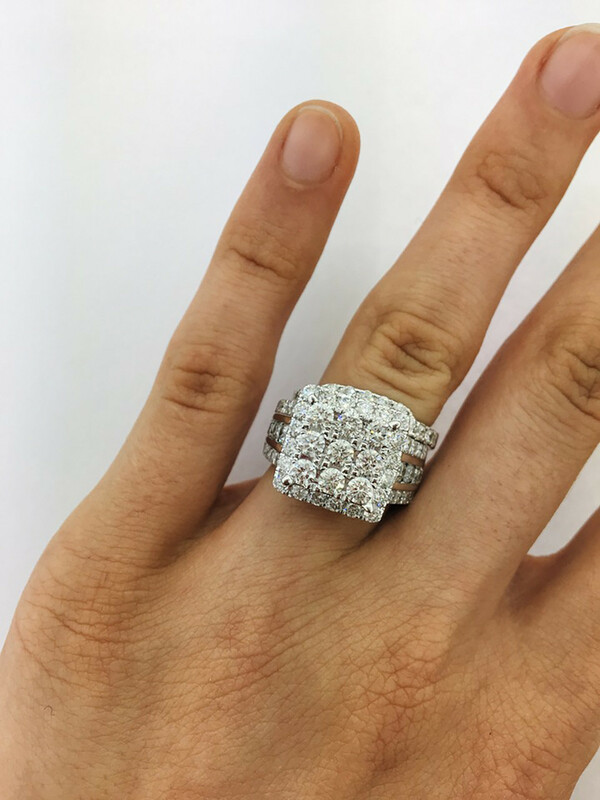 The curve in the center of this diamond ladies band is made to fit with a matching engagement band, adding beauty and blending into the set.